KL AV for Free. Secure the Whole World Will Be. I’ve some fantastic, earth-shattering-saving news: we’re announcing the global launch of Kaspersky Free, which, as you may have guessed by the title, is completely free-of-charge! Oh my giveaway! The free antivirus won’t be competing with our paid-for versions. In our paid-for versions there are many extra features, like: Parental Control, Online Payment Protection, and Secure Connection (VPN), which easily justify the ~$50 for premium protection. There are a lot of users who don’t have the ~$50 to spend on premium protection; therefore, they install traditional freebies (which have more holes than Swiss cheese for malware to slip through) or they even rely on Windows Defender (ye gods!). 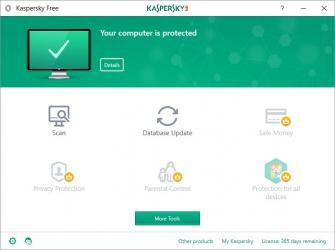 An increase in the number of installations of Kaspersky Free will positively affect the quality of protection of all users, since the big-data-bases will have more numbers to work with to better hone the machine learning. And based on those three deductions we realized we had to do one thing, and fast: roll out a KL freebie all over the planet! Last year the product successfully piloted in the Russia-Ukraine-Belarus region, in China, and also in the Nordic countries (that’s Denmark, Norway, Sweden and Finland, in case you were wondering). I say successfully… – that would be an understatement; for with practically zero promo activity Kaspersky Free was installed several million times, in doing so cranking up our market share considerably. Not that increasing market share is our aim; our aim is to raise the overall level of protection on the Internet. Anyway, here’s thanks to all KasperskyFree users for helping us save the world! And on July 25 – for our 20th birthday – the product will start being officially launched! The roll-out won’t be fully global instantaneously; it’s going to be done over four months in waves as per different regions. The first wave will be the U.S.A., Canada, and many of the Asia Pacific countries. September: India, Hong Kong, Middle East, Africa, Turkey and Latin America. October: Europe, Japan and South Korea. November: Vietnam and Thailand. And that, I do believe, will be it – the whole planet covered. It’s a version with all the bare essentials: file, email and web antivirus; automatic updates, self-defense; quarantine; and so on. This arsenal ensures convenient and safe web surfing (is it still surfing? Sounds a bit 90s to me), working with USB sticks and other portable storage media, and protection against both phishing and infected files being run. In short, the indispensable basics that no one on the planet should do without. Kaspersky Free is also lighter on system resources and quicker than its big brothers. It’s based on the same technologies as those older brothers, which you all know always come out on top in independent testing. This means that, though it features just the bare basics, it still packs a punch – a punch we’re no less proud of. The same protection without compromise: we detect any cyberthreat regardless of its origin or intention – even if certain folks don’t like it. 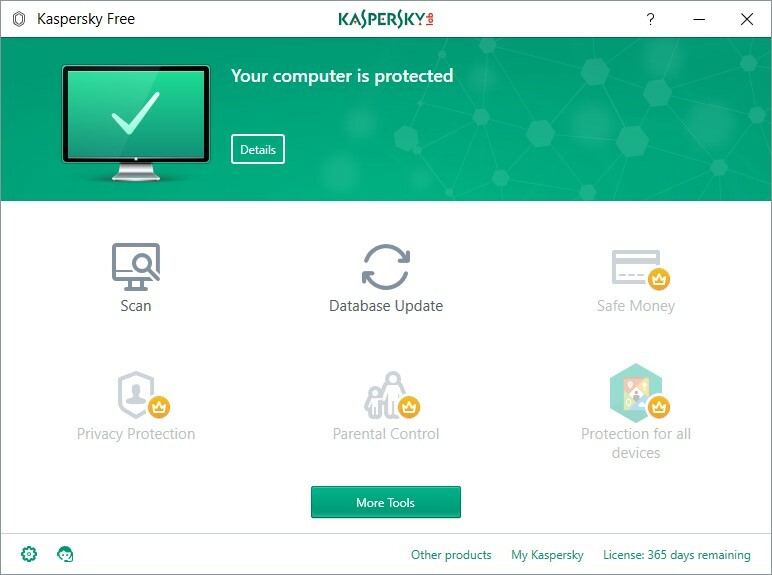 At the same time Kaspersky Free doesn’t come cut with all the usual nonsense like advertising-oriented user-habit tracking and confidentiality infringements – which free AV normally suffers badly from in order to make it financially worthwhile to its manufacturers. Copyrights © 2018 by FIL Ltd. All Rights Reserved.